Summer 2019 – Now Open for applications! 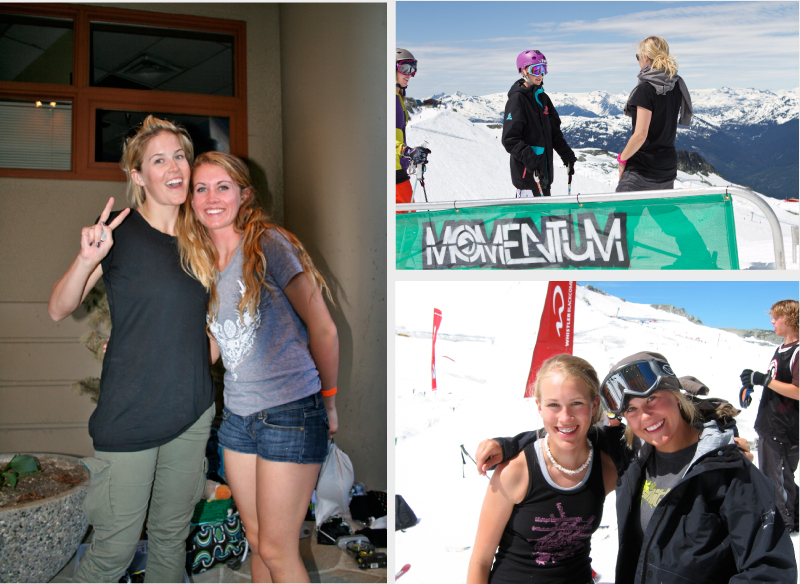 In partnership with the Sarah Burke Foundation, Momentum offers the ‘Spirit of Sarah Scholarship’, to honour and remember our much loved camper, long time coach and friend Sarah Burke. One Free Full Package Summer Camp is awarded to a female skier, who best embodies some or all of Sarah’s very special strengths and characteristics. One of the causes dear to Sarah’s heart was encouraging young girls to follow their dreams and believe in their skiing abilities. Sarah played a big part in getting our ‘Girls Week’ off the ground and inspired so many young women through her incredible skiing talent, but more importantly through her special personality, which showed modesty, kindness and a wonderfully positive approach to life. To learn more about Sarah’s incredible legacy please visit our tribute page and read the many stories from campers whom she inspired over the years. Previous winners include 14 year old Kirsty Muir from Scotland, 16 year old Megan Oldham from Ontario, 16 year old Emma Stevens from Nova Scotia, 15 year old Carly Lavieille from Ontario, 13 year old Elena Gaskell from Silverstar, BC, 12 year old Maya Mikkelsen from BC, 13 year old Bella Bacon from Ellicotville, NY, who all enjoyed an amazing week of training with some of the top female freestyle skiers in the world. • Create a short video presentation (no longer than 5 minutes), showing why you deserve to be awarded the camp and email the link to info@momentumcamps.com. • The presentation could include an interview with yourself and your references such as your coaches, teachers or anyone else you feel could be persuasive in helping you win the scholarship. • It could include action footage of skiing or other sports, be wildly creative, fun and funny or simple and straightforward, use graphics or voiceover…etc – the choice is yours! Deadline for 2019 submissions will be May 15th with the winner announced June 1st, 2019. The scholarship includes one Full Package Camp to any 2019 Youth Session, although ideally you will attend our Special Girls Week in Session 5, July 9 – 16th. Check out this inspirational documentary about Sarah – ‘First in Flight’ here.